Updated: You can read about the blogger event I attended in Sydney here, and my initial review of the product here. Abbott’s FreeStyle Libre Flash Glucose Monitoring System recently received approval from the Therapeutic Goods Administration in Australia, and is expected to be launched in the Australian market in the coming months. The Glucose Monitoring System consists of a small round sensor that is worn on the back of the upper arm, and a “reader” that looks very similar to a blood glucose meter. Users need only scan the reader over the attached sensor in order to receive a reading, and 8 hours worth of historical data. The Libre has a few key differences that sets itself apart from a traditional Continuous Glucose Monitor (CGM). The sensor appears to be much more discrete, approximately the size of two stacked 20 cent coins. Sensors also have a life of 14 days, as opposed to traditional CGMs which last up to 7. Abbott also claims that the Libre eliminates the need for finger pricking, making glucose testing more convenient and discrete. Alternative CGMs need calibrating with finger pricks, and only guarantee glucose trends rather than historical data. Unlike a CGM, however, the Libre is not a “live” glucose monitoring device. It is up to the user to complete the scan in order to obtain a glucose result and historical data. There are no alarms or indicators to alert the user when they are going high or low. I also don’t believe that there is any “sharing” functionality of data through smartphones, which many CGM users in the DOC place a high value on. It appears that data can be downloaded to a computer and generated in report format, similar to the Insulinx meter I have been using recently. I know that many folks in the Diabetes Online Community do pay for the convenience, live data, sharing and peace of mind that a CGM offers them. I know that many have come to rely on this standard in their diabetes management, and I wouldn’t expect that the Libre would hold much appeal here. I have previously expressed reasons for not wanting a CGM myself. I’m quite motivated to do my finger pricks as much as I need to. I’ll be switching to an insulin pump in May, and I can’t say I’m keen on wearing two devices. I can’t say that I could handle seeing “live” data all the time. At $75 for a sensor that lasts only 7 days, I can’t say that I can afford it either. I believe that this is where the Libre would hold the greatest appeal. I also know that for many who would like one, a CGM is out of reach. 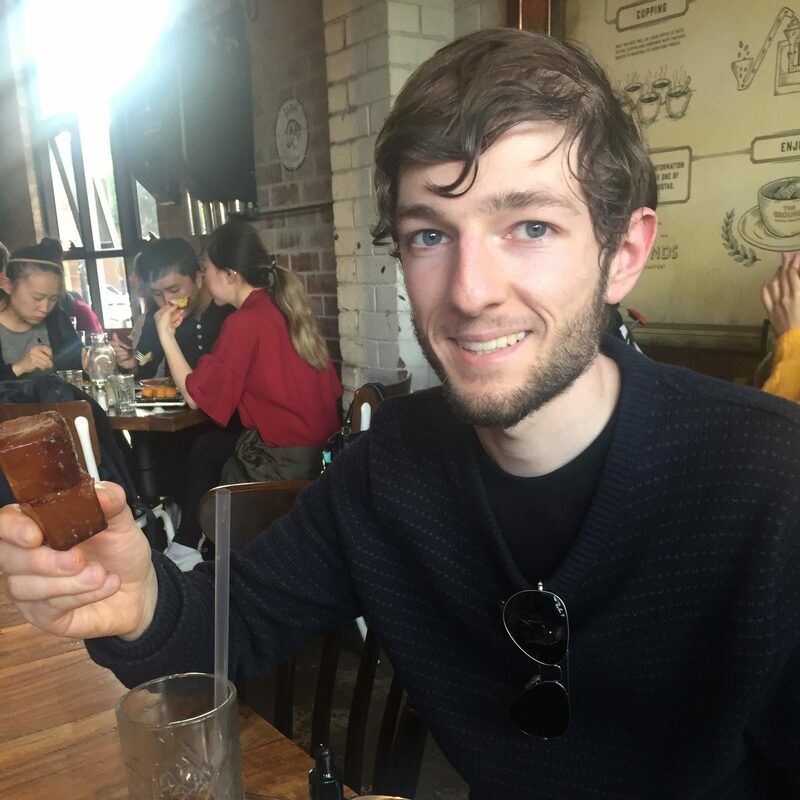 At a time where there is a strong push for greater access to glucose monitoring technology in Australia, the arrival of a new competitor in the Libre is an encouraging sign. I have only heard positive things about the Libre from European folks in the DOC who have tried it after traditional finger pricking. The biggest factor here is likely to be the cost of the Sensors, which need replacing every 14 days. While Abbott is yet to comment, Seven News speculates a shelf price of $100 per sensor. 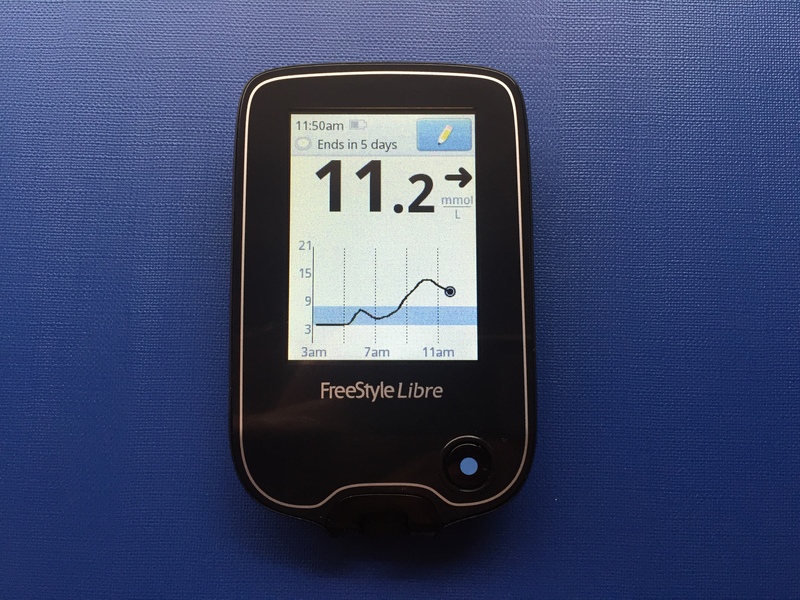 Given that CGM sensors are not currently subsidised by the National Diabetes Services Scheme (NDSS) in Australia, I would not expect that Libre sensors would be, either. You can read more about the FreeStyle Libre, and sign up for e-mail updates at freestylelibre.com.au. Disclosure: Abbott sent me a Press Release regarding this news. I was not asked or paid to write this, and all opinions expressed here are my own. Last night, I attended an information session on insulin pumps at Diabetes WA. And this morning, I’ve got about a million things that I want to write about. I’ve been on Multiple Daily Injections since I was diagnosed five years ago. I’ve never seriously considered an insulin pump, and I can’t say that I know too much about them. I’ve thought about going to one of these information sessions over the years, but it was just one of those things that I never got around to. Okay, truth be told I procratinated on RSVPing to those events until it was too late. Over and over. I guess what motivated me this year was the fact that I am now a part of the Diabetes Online Community. I think, talk and write about diabetes every day. I feel more motivated towards my diabetes managment, just from interacting with you. I see so many of you blogging, tweeting, screenshotting and instagramming pump stuff each day. I want to understand it. And I want to seriously consider it as an option going forward. Representatives from a few of the insulin pump companies were there to chat to before and after the session. And to be honest, they were absolute vultures. I’ve never seen such eager salespeople out there in full force, desperately wanting our business. When our fantastic host Margie asked for some sample tubing to show us, it literally seemed like a race to see which rep could get to Margie first. As I asked one of the reps if a meal bolus was as simple as inputting the number of carbs into the device, she began hurriedly cramming in as much information as she could before the talk resumed. I’ve never seen anything like it. The topic of Continuous Glucose Monitors came up briefly. As I have written in recent days, Continuous Glucose Monitors aren’t subsidised by the government here in Australia. The cost of purchasing a CGM device and its operating consumables is excessive. While having a CGM may not matter to myself, I know that it could make a world of difference to young children and parents out there. I thought it was rather interesting to hear the representatives in the room quickly removing themselves of any responsibility for those excessive costs. They urged us to write to our Members of Parliament. They urged us to lobby the government for subsidies towards CGMs and diabetes devices. As though it’s out of their hands. These companies are responsible for the excessive costs of these devices. These companies are making a profit off of our disease. There are so many companies and product lines out there for that very reason. That vulture like behaviour occurs for that very reason. And I hardly got the feeling that these people genuinely wanted to help me make my diabetes management easier. I so badly wanted to know if they even had diabetes themselves! I hope I haven’t taken anything away from the Diabetes WA session. It was fantastic and I have so much more to write about. Stay tuned – I’ll have more in the days to come. At 10.41pm, I was cutting it close with yesterday’s #DOCtober photo. An exclusive look behind the scenes of the jacket I wore last night. Yesterday I shared Catherine’s story. One of the many type 1 diabetes parents dealing with, well, everything that you would expect (and more) from a young child with type 1 diabetes. A Continuous Glucose Monitor would be a massive relief for Catherine and her daughter, and would change their lives. Seeing Catherine’s story on television, and the discussions that followed at home simply reminded me of just how invisible diabetes is. Not enough people are aware of what people with type 1 diabetes go through in order to manage their condition. People simply don’t see a lot of the aspects that we deal with in order to manage this disease. And our media certainly don’t give it a lot of attention, either. Our media here in Australia spend a lot of time focussing on those “lifestyle” factors that may cause type 2 diabetes, in some cases. Which is fine. These are all serious issues, which can be prevented. I’m all for that. However, it just seems that I always hear about how we need to lose weight, how we need to eat less sugar, how we need to eat more fruit and veg, and how we need to exercise more. How this is an epidemic that will destroy the world by the year 2030. Okay, maybe I’m exaggerating there. But Mum could even recall being asked if I was overweight after telling an aquaintance about my diabetes a few years ago. It just goes to show how little awareness there is of type 1 diabetes out there. I’m not blaming anyone for this. I’m simply stating a fact. There’s little awareness of type 1 diabetes out there because it’s simply an invisible disease. It’s easy to spot things like excess weight, unhealthy food choices and lifestyles that are lacking physical activity in the world. It’s not easy, however, to spot things like glucose monitoring, carb counting and insulin injections. It’s not easy to spot sleep deprivation, frustration and stress from dealing with, and worrying about type 1 diabetes. It’s not easy to spot parents who have had to take time away from work in order to properly deal with a type 1 diabetes diagnosis. It’s not easy to spot parents concerned about how their child, and school, will cope with type 1 diabetes. I say that we do a pretty good job of keeping it together when we’re out there among the rest of the world. We’re pretty strong people, you know. And that’s where Catherine’s story comes in. She did a fantastic job of advocating for all of us type 1s, and helping to shed some light on the issues that we have to deal with behind closed doors. I can only hope that this media attention will help deliver technology that will change the lives of many young families in Australia dealing with type 1 diabetes, and help make this disease a little less invisible. I almost forgot my #DOCtober photo yesterday, so my last minute photo idea at 9pm was to change my Lancet!